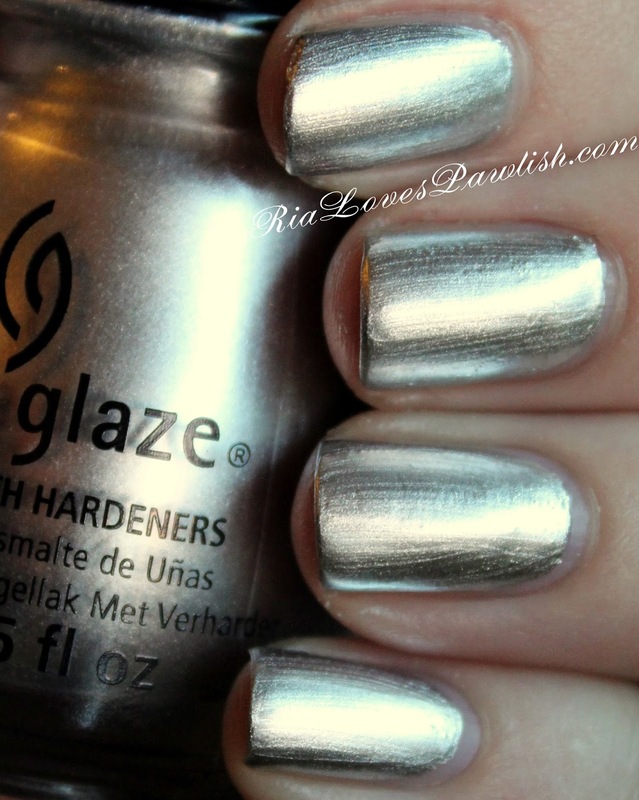 next up from China Glaze Twinkle is I'd Melt For You, a gorgeous silver chrome. (it's a press sample, kindly provided for review!). i absolutely love how this polish just seems to glow on the nail... chromes are just perfect for parties (although they're also perfect for everyday!). one coat brings pretty much opaque coverage, but two coats really helps even everything out. there is a bit of visible brushstrokes, but they aren't noticeable unless you get right up on the nail. i did not use any topcoat with this polish as i didn't want to diminish that awesome chrome glow! two coats I'd Melt For You.